The age of Do-It-Yourself is upon us. Many home improvement or maintenance jobs that were once almost exclusively the domain of trained professionals are now frequently attempted by the average Maryland homeowner, looking to save a few dollars on labor costs. Painting is no exception. But many times these attempts to save often end up costing far more in wasted time, mistakes, and generally lower quality than the professional service would charge up front. The Atlantic Maintenance group is here with a few reasons why professional painters still have a place in a DIY world. Many Maryland homeowners often forget the amount of prep work required to ensure that paint job not only looks good, but also lasts. Professional painters know that the work before actual the painting is by far the most important part of the process. Without proper application of preparatory material, paint will chip, wash away, or fade quickly. A professional painter will know all the right steps to take to make sure your exterior or interior paint stays where you want it, and stays beautiful. 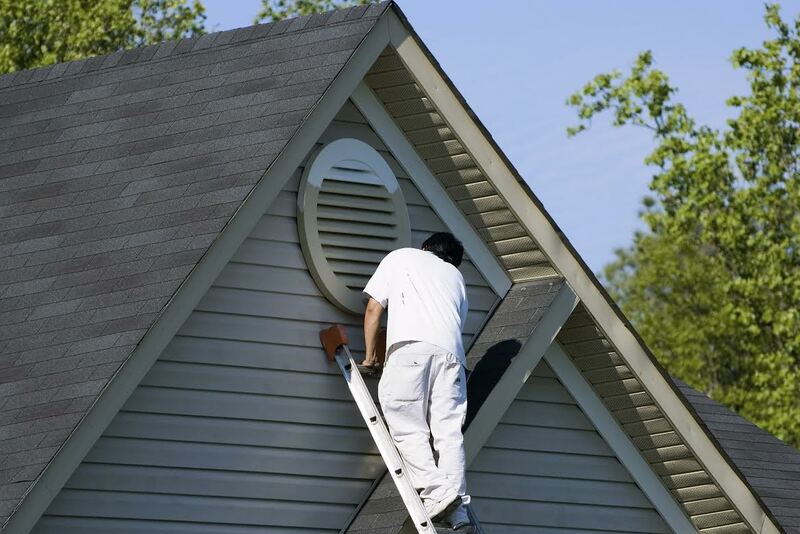 Painting the exterior of a two-story home is no mean feat and the average Maryland homeowner, armed with a neighbor’s ladder and paint brush, puts themselves at great risk when attempting it. A professional painter will have access to the scaffolding, and industrial ladders needed to do the job safely. Perhaps the most obvious benefit of hiring a professional painter for your Maryland painting job is the guaranteed uniformity in application of your chosen paint. A professional painter will have the focus, training, and experience to ensure consistent quality throughout your house. Often, the biggest pain that results from DIY painting is having to clean all the scattered materials up, or living with them lying around until the job is finished. A professional painter will always leave your house neat and tidy after every day of work, so you can enjoy the benefits of a freshly painted Maryland home without all the inconvenience. Want A Professional Painter for Your Maryland House Painting? Call Atlantic Maintenance! We do a lot at the Atlantic Maintenance Group, but painting is one of our specialties. We do interior as well as exterior painting and are careful to make sure that everything looks exactly as it did when we got there once we’re done – except for the exterior of your home, which will be new and improved. When you’re ready to give your home a facelift with the guaranteed quality unique to hiring a professional painter, give us a call at 410.768.4720 or visit the website today to get your free quote! This entry was posted on Tuesday, October 28th, 2014	at 3:11 pm	and is filed under Blog, Painter	. You can follow any responses to this entry through the RSS 2.0	feed. Both comments and pings are currently closed.